Tono-Pen® - The one you trust in tonometry. 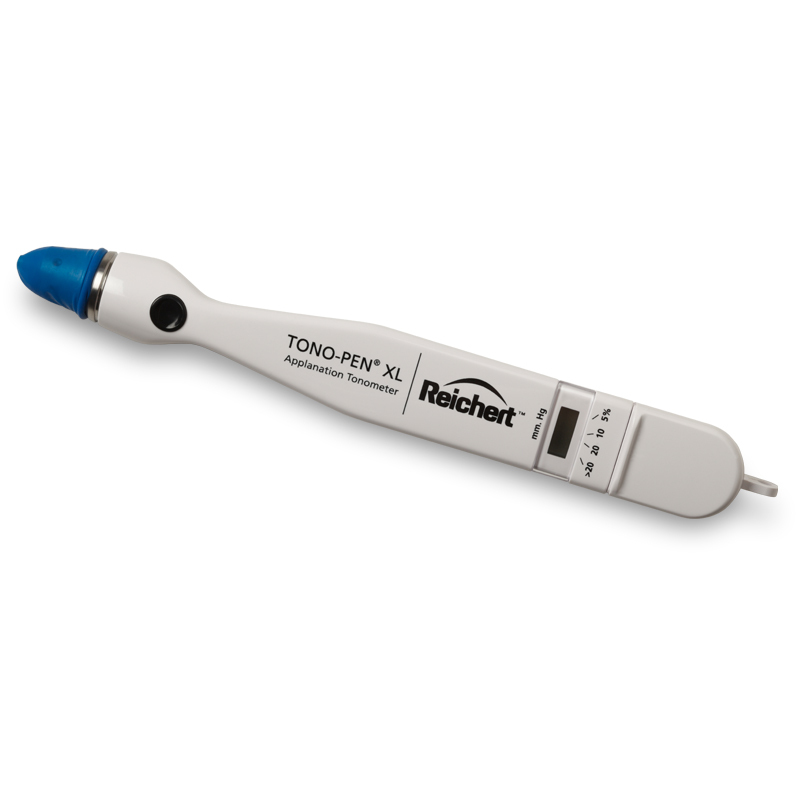 The Tono-Pen XL Applanation Tonometer is an easy-to-use, handheld instrument that provides IOP readings that correlate closely with Goldmann Tonometry. Tono-Pen XL's lightweight ergonomic design and advanced electronic measurement technology enable operators to take fast and accurate IOP measurement with minimal training. Weighing only 2.1 ounces, Tono-Pen XL is extremely portable making it easier to take IOP measurements anywhere on any patient. Tono-Pen is made in the USA.